Promote your own brand while you shop! 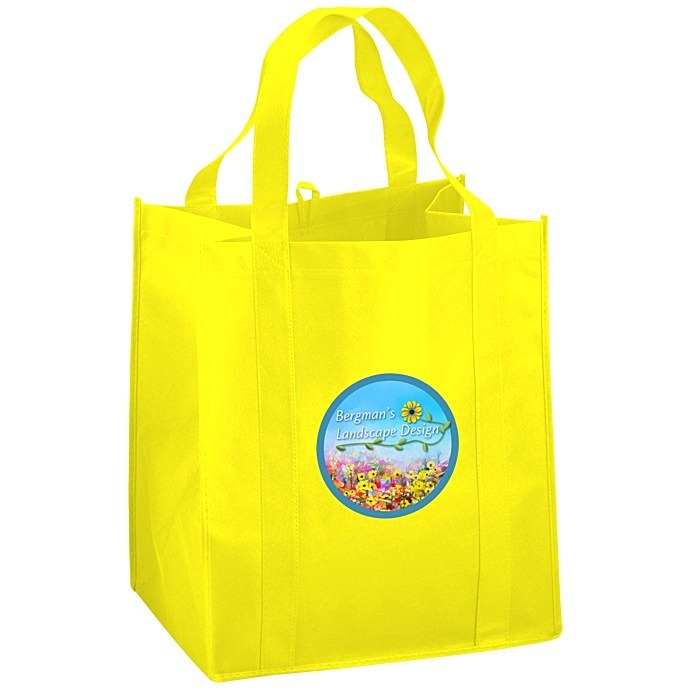 You can really get your fill with this jumbo non-woven 90 gram polypropylene tote. Includes two 533mm (21") self-material hand/shoulder straps for the most comfortable transport. This reusable tote is durable and lightweight for convenient shopping. 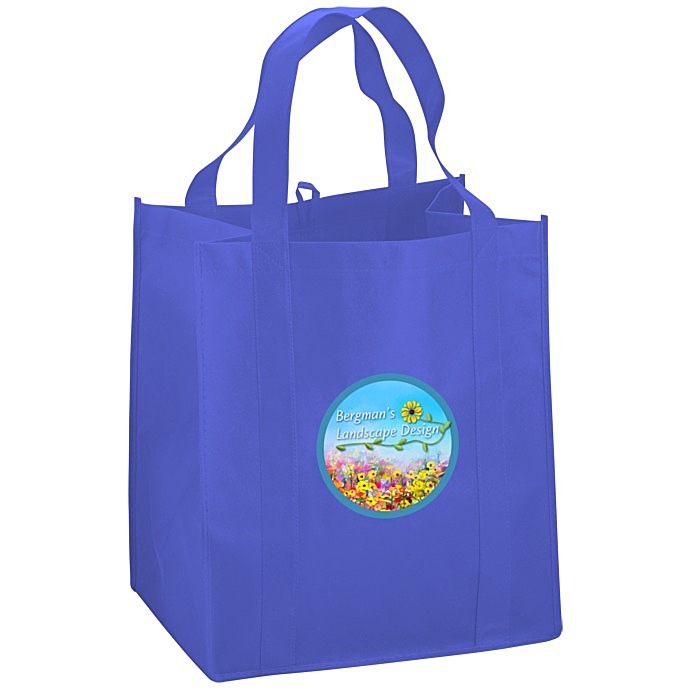 Ideal for large-load grocery trips. Environmentally friendly—replaces up to four standard size plastic grocery bags! 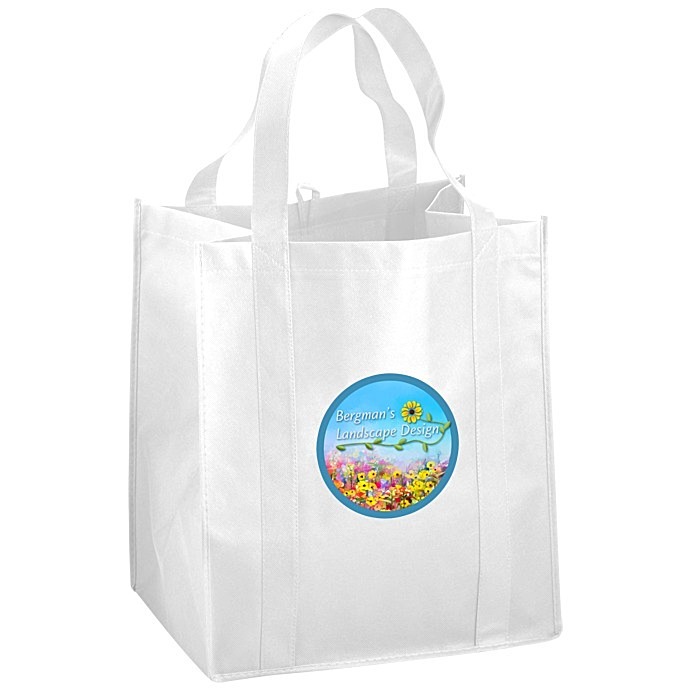 Available in different colours to best match your company's image. Size: 381 x 330 x 254mm (15" x 13" x 10"). 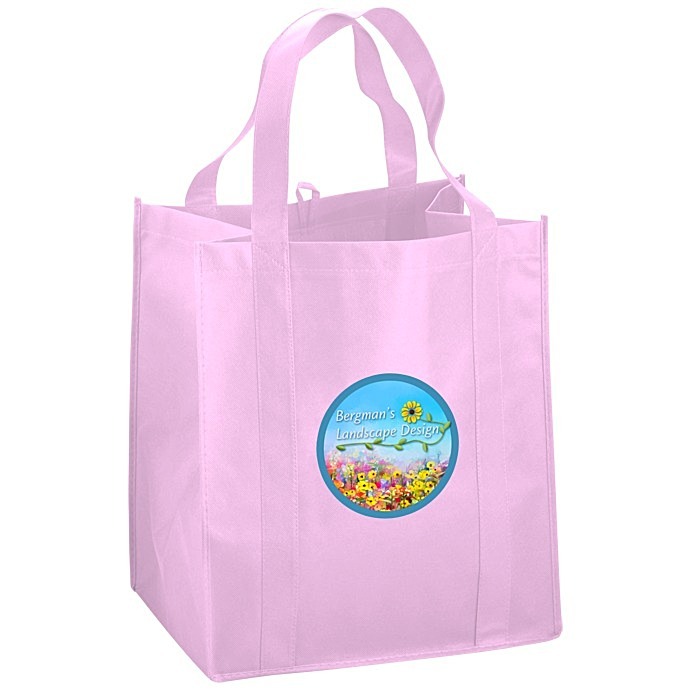 Your price includes a full colour imprint on the front of the tote.